A gentle healing class designed to release deep layers of tension stored in the physical and energetic body. A combination of props, essential oils and hands on adjustments are used in poses held for 10 minutes or longer, allowing the nervous system to relax and the cells to regenerate. Layering this with the use of Yantras (shapes) and Bija Mantra (seed sounds) to stimulate balance in the Chakra system. Open to all levels and great for those recovering from illness or disease. CLASS FEE: $20. SPACE IS LIMITED. Carmen-Noemi began to incorporate yoga into her life over ten years ago and continues to be inspired by the art and science of yoga. 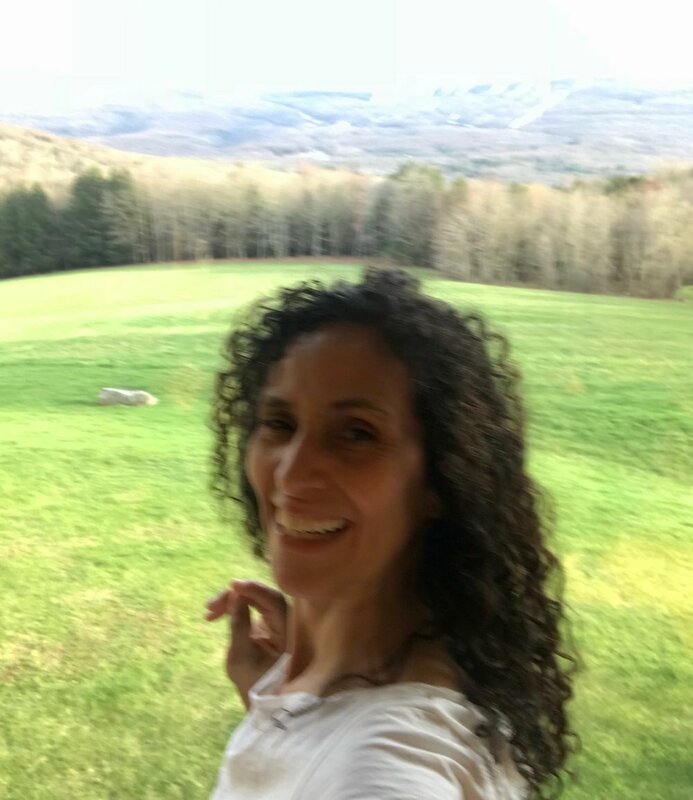 Her practice and teaching is a continual exploration of breath: space is created, perspective gained and balance is found reconnecting to our undeniable beauty and joy of living. Carmen-Noemi was trained in the a ISHTA lineage in NYC and feels yoga is for every-body. She is excited and honored to serve, and be a part of the One Earth Community. Studio parking is located near the free-standing road sign and in front of the stores after business hours. Our studio has a flight of stairs, therefore is not wheelchair accessible. We sincerely apologize if this causes any inconvenience.